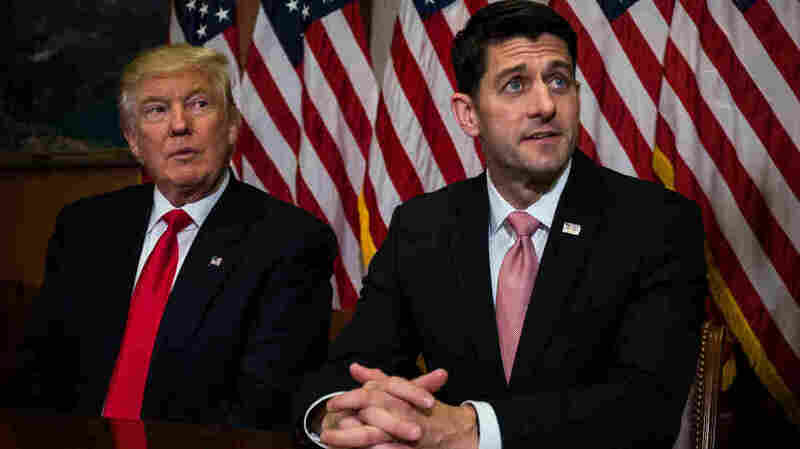 Income Tax Cuts, Border Adjustment Tax: What We Know About Trump, House GOP Tax Plans So Far Sweeping tax cuts, for businesses and individuals, will be at or near the top of the list for both the White House and the Republican-controlled Congress. 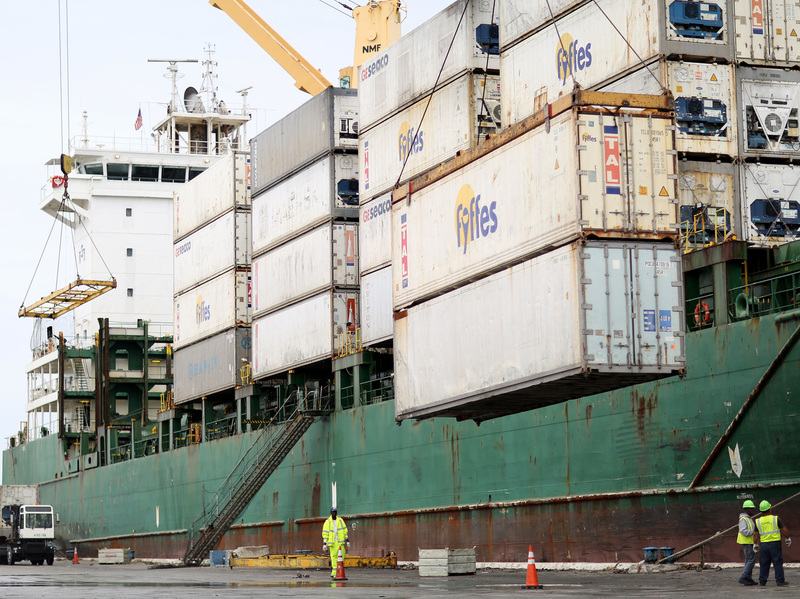 A tax on imports may also be on the table. President Trump, during his campaign, and House Speaker Paul Ryan have proposed reducing the number of tax brackets and lowering corporate tax rates. President Trump goes to Congress Tuesday night and is expected to lay out his legislative agenda. Sweeping tax cuts, for businesses and individuals, will be at or near the top of the list for both the White House and the Republican-controlled Congress. Trump isn't expected to offer a detailed tax proposal during his speech. But he and the Republican Congress appear to agree on some important elements of a plan. The White House wants to simplify the tax code, lower the top tax rate from over 39 percent to 33 percent and slash the number of brackets for individuals from seven to three. The main congressional plan from House Republican leaders has the same goals. While the outlines of the House plan are clear, the Trump White House has not issued a plan beyond the broad outlines the president campaigned on. It's unclear when the president's plan will be unveiled. Trump most recently suggested a "phenomenal" plan would be revealed in early March. Analyses of both the House plan and Trump's campaign proposal for individual tax relief by the Tax Policy Center show big tax breaks for the well-off. That's despite the claim from Trump's Treasury secretary, Steven Mnuchin, that the wealthy would receive no net tax reduction from the Trump plan. And, during the campaign, Trump said the wealthy, including him, should pay more in taxes. Both the White House and congressional Republicans also want to sharply cut the tax burden on businesses. Trump's plan would reduce the top corporate tax rate from 35 percent to 15 percent, and also allow lots of non-corporate businesses, like sole proprietors and partnerships to pay that low rate. The House would cut the corporate rate to 20 percent. But Speaker Paul Ryan and Ways and Means Committee Chairman Kevin Brady, R-Texas, also propose a historic overhaul of the business tax code. It would dramatically change how businesses are taxed. Among the biggest changes is something called a border adjustment tax, or BAT. It would levy a 20 percent tax on all imports of goods and services into the U.S. On the other hand, U.S. exports of goods and services wouldn't be taxed at all. A proposed border adjustment tax would levy a 20 percent tax on all imports of goods and services into the U.S. Exports wouldn't be taxed. Supporters of the border adjustment tax say it would encourage businesses to keep their operations in the U.S., creating more growth and jobs here. Opponents say it would raise sharply the cost of imported goods, from clothes to cars, for American consumers. The border adjustment tax idea has divided the American business community. Not surprisingly, many big exporters including Boeing and Pfizer like the idea of not paying any tax on aircraft or pharmaceuticals they export. On the other hand, more than 100 big retailers, from AutoZone to Wal-Mart, oppose it. The 20 percent import tax would mean much higher prices on the goods they bring in — from clothes and car parts, to televisions and avocados. Supporters of the BAT point to economic studies suggesting the dollar would increase in value under this tax regime, so the cost of imports would remain the same. But economists also point out that many factors affect the value of the dollar, so the adjustment would, at best, be imperfect. They also warn that the stronger dollar would hurt the competitiveness of U.S. exports. For now the biggest challenge for the BAT appears to the White House. President Trump says "it's too complicated" and he doesn't "love it." Treasury Secretary Mnuchin said Thursday that the BAT has some "interesting aspects," but he said, it also raises "some concerns" — not a ringing endorsement. One of the most attractive features of the border adjustment tax is that, according to estimates, it would produce about $100 billion a year in new tax revenues. That would help replace revenues lost from the big proposed reductions in business and individual tax rates. Still, according to the Tax Foundation, even with the BAT, the House plan would lose $240 billion a year in tax revenue. That number was derived through an analysis using "static scoring" which doesn't account for additional tax revenue that might be produced if the tax cuts boost economic growth. If the estimated revenues from a stronger economy are accounted for, through a different technique called "dynamic scoring," the Tax Foundation finds the House plan still would add to deficits, but by a much more manageable $20 billion a year. This is important, because in order to pass the Senate by a simple majority, the tax bill must be "revenue neutral" — any revenue lost from cutting taxes, must be paid for by cutting government spending or adding some new sources of revenue. Is stronger growth the answer? If the Trump administration rejects the idea of a border adjustment tax, it will be hard pressed to find a way to make its tax plan "revenue neutral." And one path open to it would be more aggressive "dynamic scoring." Mnuchin has hinted that is a strategy the White House will employ. When asked in a CNBC interview how the Trump tax cuts would be paid for, he said stronger growth would produce enough tax revenue to offset the revenue losses from lower tax rates. So just how aggressive might the White House growth estimates be? During the presidential campaign, Trump promised his policies would boost the economy enough so it would grow at an average rate of 4 percent a year. Mnuchin said Thursday the administration could produce growth rates averaging over 3 percent a year. During all of the Obama administration the economy grew, on average, about 2 percent a year. Many economists doubt the Trump plan can change the growth equation by that much. The two main agents of growth are an increasing numbers of workers, and increases in the productivity of those workers. But the U.S. workforce is growing very slowly as baby boomers retire. In fact, immigration is the biggest source of growth in the workforce, and Trump has vowed to limit that. As for productivity growth, it has been dismal in the past decade. It's not clear why, but greater business investment in plants and technology could help. Republicans say cutting taxes will fuel that investment. But productivity expert Robert Gordon, a Northwestern University economist, says there's little evidence that big tax cuts have boosted growth significantly. So predicting an extra percentage point of growth, a 50 percent increase from current levels, would be, to use a phrase President Trump likes, "phenomenal." Will deficit hawks buy it? The Congressional Budget Office is the official arbiter of tax proposals being considered by Congress. The CBO will almost certainly produce a forecast far below the Trump White House prediction. There's a long history of administrations, both Republican and Democrat, producing rosier growth estimates than the CBO, but usually the differences amount to a few tenths-of-a-percent, or less. This White House would have to convince doubters, even in its own party, that its economic plan can boost growth rates by 50 percent. The question is whether a Republican Congress, where conservative deficit hawks have railed against growing budget deficits for decades, will buy into the president's aggressive forecast.